The concrete causeway is just visible beneath the water but you'll have to wait for low tide before you can scurry across. The lighthouse was decommissioned in 1984 after being rendered redundant by new navigational equipment, but the dazzling white tower remains an important landmark. Standing at the northern limit of Whitley Sands, you could spend a pleasant day walking back down the coast, which extends all the way down to Cullercoats at the southern end of Whitley Bay. This is a place of myth and legend, superstition and great tales, a barren, rugged landscape of adventure and history. But if that's not your bag, then you can visit on a clear and sunny day to enjoy expansive views across the rolling hills and trees. Keep an eye out for two long trails that wind through many miles of stunning countryside, historical sites and abundant wildlife. Fun fact: this wild country was the birthplace of Captain James Cook, one of the greatest explorers of all time. 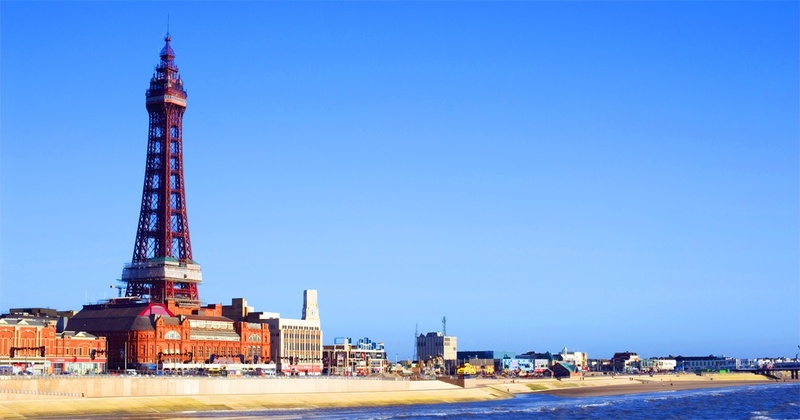 A massive 518 ft tall, Blackpool Tower dominates the promenade. Famous for its spectacular night-time lights, this is still a lovely area to see in the daytime. The beach is always a good idea when it's sunny, so why not visit one of the most famous seaside resorts in the world? 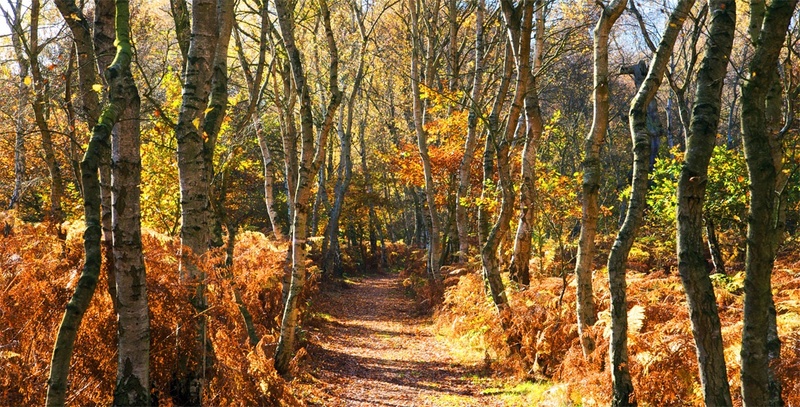 Pull on your tights and fill your quiver*, the north-east of Nottinghamshire is home to the remains of Sherwood Forest, the one-time royal hunting grounds thought to have been established by William the Conqueror. Famous of course for being the stomping ground of the legendary archer, Robin Hood, the forest is also home to a great variety of plants and wildlife, such as the beautiful silver birch trees seen in the photo below. *Don't actually take weapons - you will be ejected from the park, obviously. 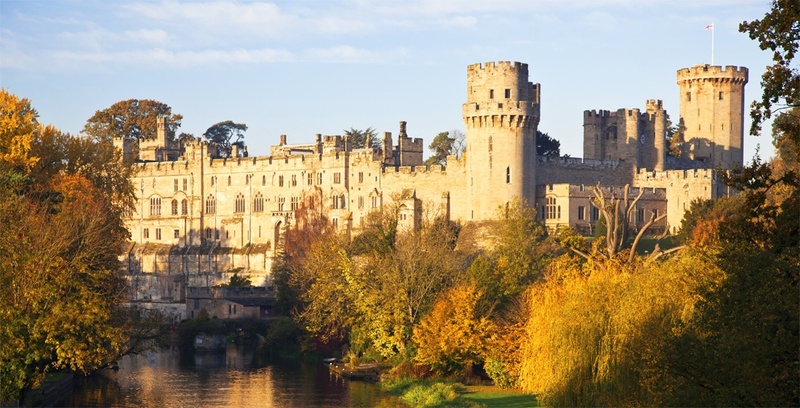 Follow the River Avon around a bend and there, suddenly, is the breathtaking Warwick Castle. An imposing vision of medieval splendour, the castle harbours a bloody and turbulent past, which means you're sure to learn something interesting when you look around. Outside is no less interesting however, the grand exterior of the castle and its beautiful gardens are well worth enjoying over the course of a long, sunny day. What better way to stay cool on a hot day but yet still enjoy the local sights? Save yourself a walk and enjoy the serene surrounding environment as this beautiful little train takes you on a ride to remember. The shiny engine, no. 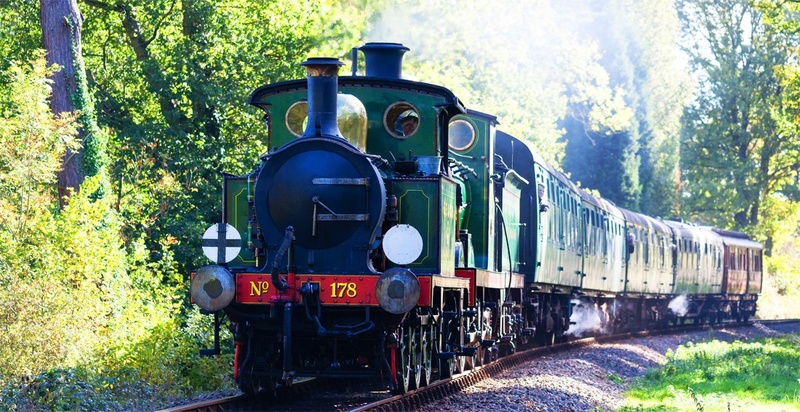 178 (pictured below), looks every bit as impressive now as it did back when it was first commissioned, so put your feet up and enjoy the journey! In between Bournemouth and Weymouth you can find one of the most exciting coastlines on the south coast. Durdle Door is a natural archway of Purbeck limestone that juts out into the sea, forming the eastern end of Durdle Door Cove. Plus, as you can see below, it lies at the tip of a sandy beach which is of course a massive bonus. This is well worth mentioning, just in case. Though The Eden Project has become a very popular attraction, it's with good reason. Inside the iconic biomes you'll find exotic and exciting ecosystems which not only astound, but also facilitate a better understanding of the natural world. Hopefully this will get a few of you off to a great start. 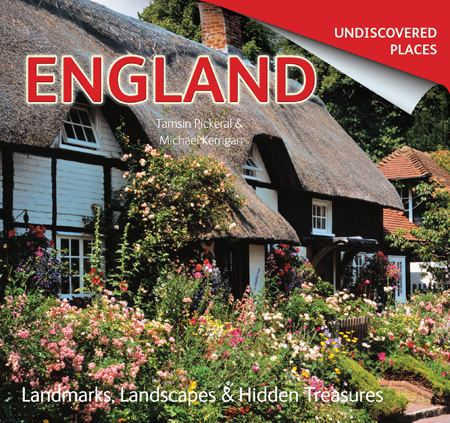 However, there are far more suggestions in our new book England Undiscovered (ISBN: 9781783614219). We cover the country from head to toe, highlighting some scenic areas that you may not have discovered yet. If you're looking to go elsewhere in the UK, Flame Tree Publishing also offers titles covering Scotland, Wales, and Ireland.